This porthole is closing: Zoom your way through a galactic zoo journey and become the ultimate Guardian of the Wild by Monday, September 3 to be entered for a chance to win incredible prizes. Simply improve your planetary protection abilities by visiting all the Action Stations and collect the contest entry codes. Each of our 10 Action Stations has its own unique galaxy-saving code and you’ll want to get as many as you can. There’s a trip to China on the line as well as 10 other amazing prizes and time is ticking. Planetary Warning: Our Guardians of the Wild contest ends Monday, September 3, 2018. 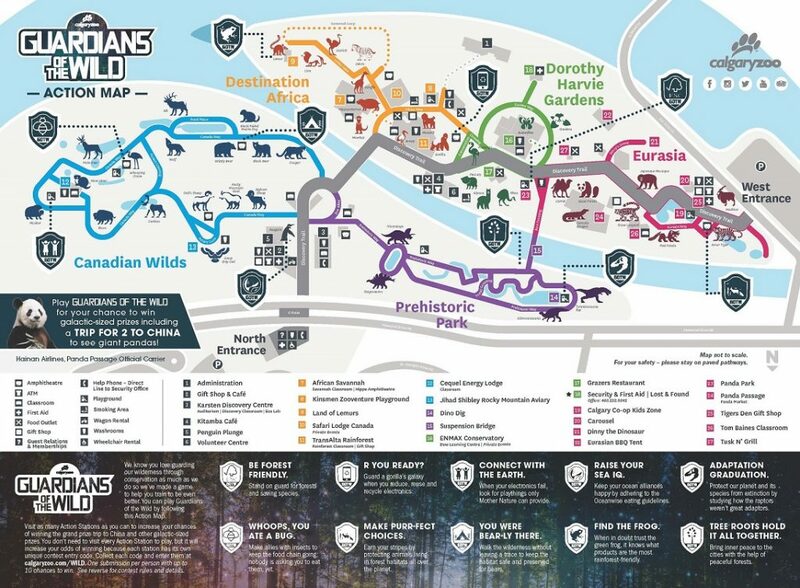 Don’t forget a station with our Guardians of the Wild map. Learn survival tips from the king of the mountain: Who’s that you wonder? That would be the incredible grizzly. 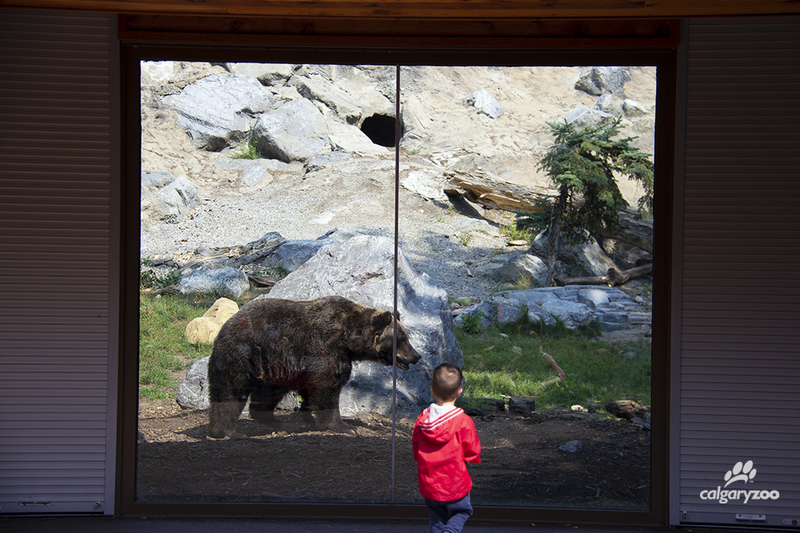 Make time to see our grizzly bear training hosted daily at 1:30 p.m.—we also have several other animal feedings you might be interested in. Visit us at the Plan Your Visit booth for times directions. 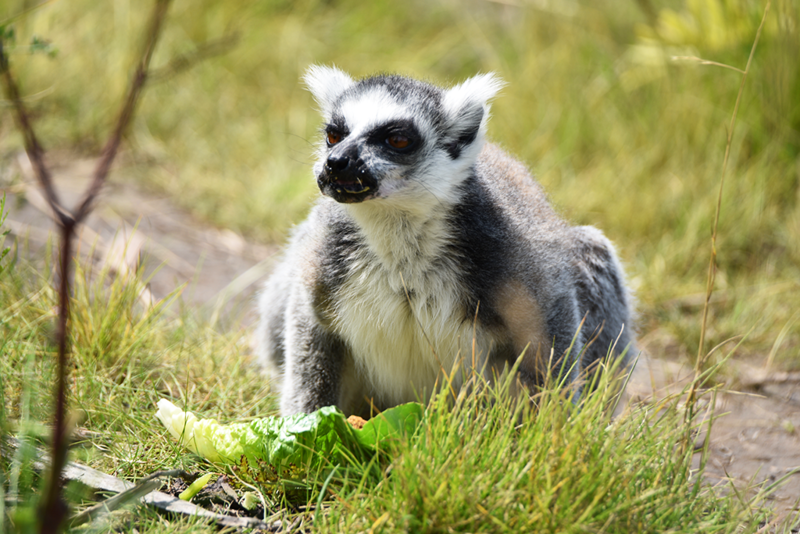 Linger with the lemurs: Long weekends are always a bustling time at Calgary Zoo and if you forget how to relax you can come chill with the lemurs. Flutter by the conservatory: There is something wonderful about the world of bugs and the magic of watching butterflies fluttering around. Definitely a long weekend must see. 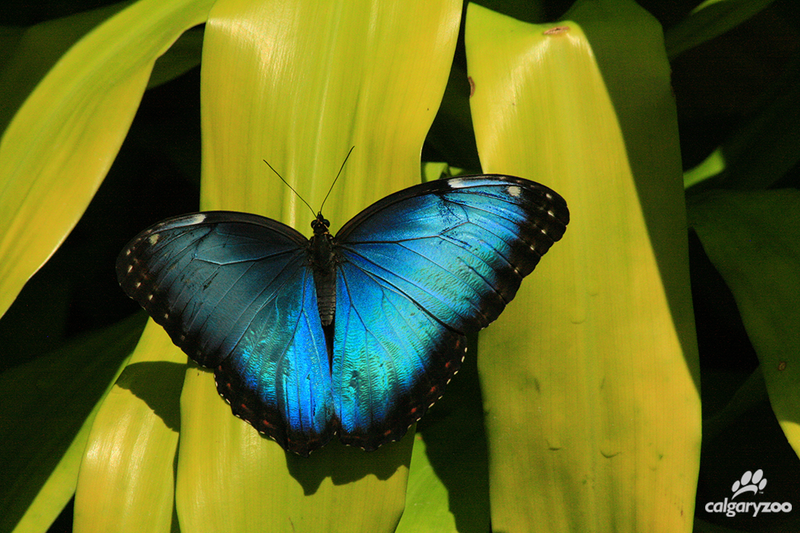 No two planets are alike: Some of our residents are permanent, but we have others who have just arrived. Be sure to check out the rhea chicks, the new otter, and the Pallas’s cat while you’re here. 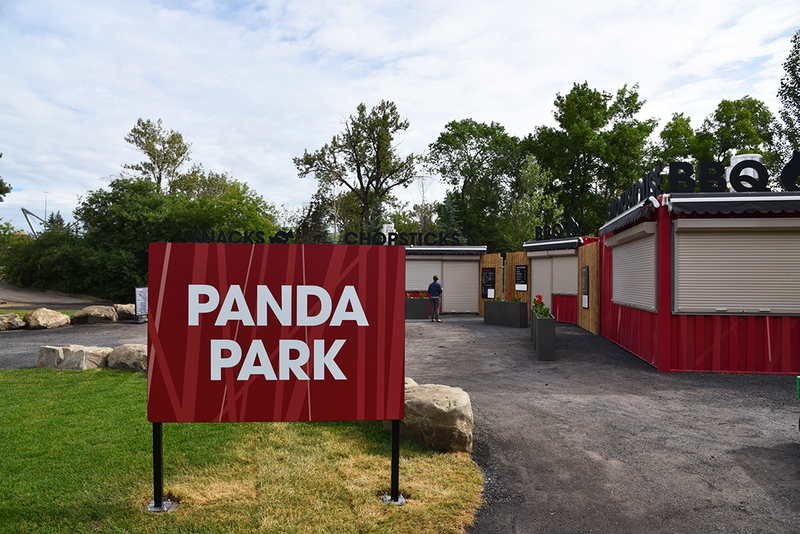 Panda Park food stations are closing for the season. Come enjoy some BBQ or Chinese food located by the Conservation FSC Action Tent. It’s also your last chance of the year to eat at Grazers. Snack on some appys, dig into the buffet or savour something of the menu. Kitamba Café is open all year round. 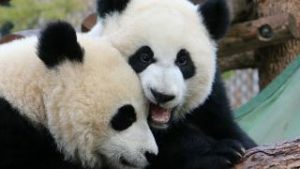 Visit the Giant Pandas like a VIP: You can purchase your zoo tickets online or at the gates, just be sure to remember to get your timed ticket to see the pandas so you don’t have to wait in line. At the Calgary Zoo, we have endless stories to share about our animals, our people and our conservation work. 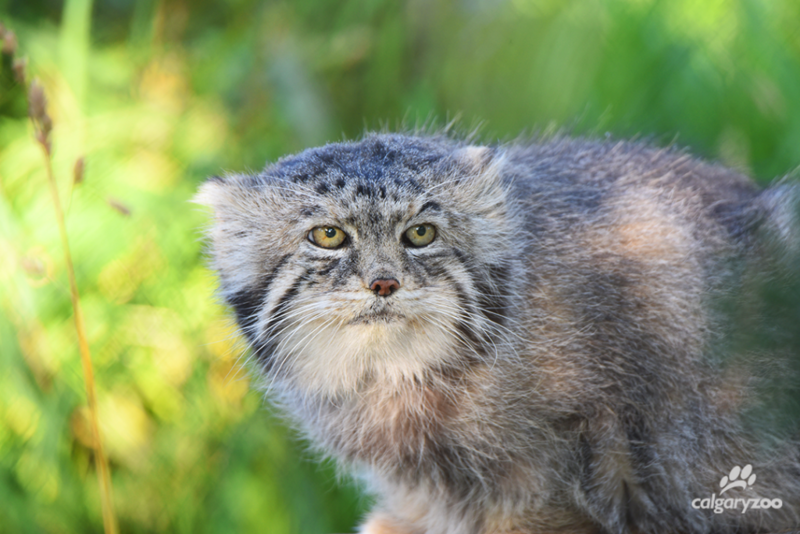 Whether we are inspiring our visitors to love nature, saving species in western Canada from extinction or working with scientists on the other side of the globe, our ultimate goal is simple: to help wildlife and keep it wild. Are you ready to make some new animal friends? 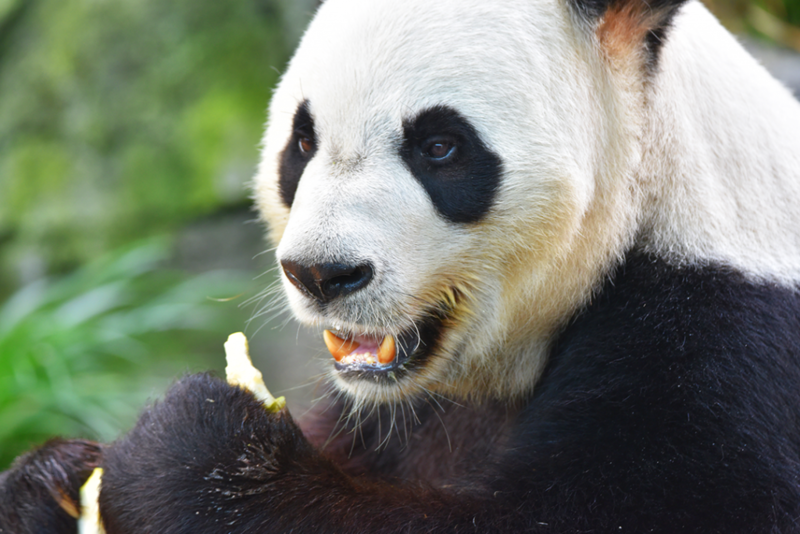 The Calgary Zoological Society is a charitable organization that relies on your donations. Charitable Registration #11882 4192 RR0001.